Now we are into our second SEO experiment using a recommended fiverr SEO gig you will start to notice that at no time will we ever buy any tiered linking done-for-you services. If you want to do tiered linking then either mix and match some gigs or put some extra work into the experiment yourself so that you have more control. 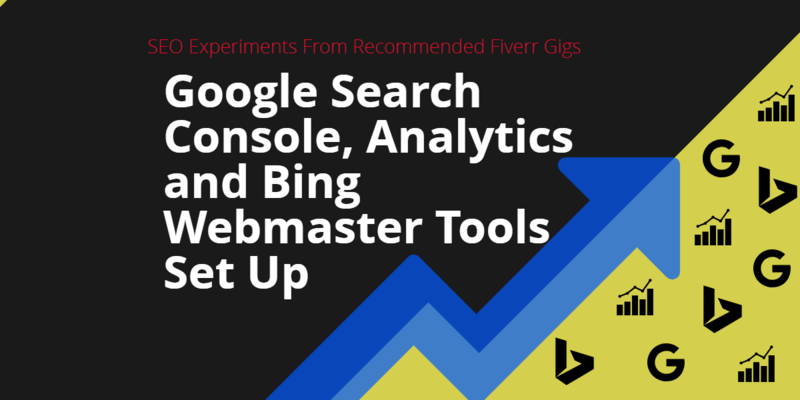 When I started these experiments a few months ago (yeah they were never published) I was using some well known services from some forum marketplaces and SEO reseller site that produced horrible results. As a rule any tiered linking will be done with the strategy created first and then find the fiverr gig or done-for-you services to fit the strategy in order to speed up the process and keep control at the same time. So now onto our second SEO gig and this one is not an experiment as such but it's hugely important so I wanted to cover this early. 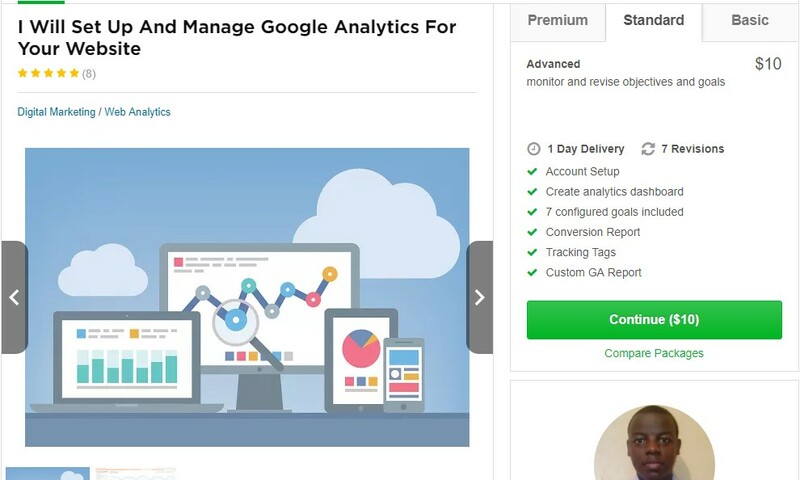 I have a guy on fiverr who does Google search console and Google analytics set up and he has agreed to tweak his gig for you and me to include Bing webmaster tools too for just $10.00. So any new sites that you build out in future you can save a bunch of time and remove any doubt if you’re not sure what you are doing and for 10 bucks you will get set up properly on search console, analytics, bing webmaster tools and all will be integrated with your wordpress sites via Yoast or all in one seo plugins and you’re all set! To speed this up for future orders I added this seller to my google and bing webmaster accounts and he can go in and add as and when I have new sites being built out. You do not have to do this of course. I feel comfortable enough with him and he has done a few of these for me now without any issues. I usually order from a custom order, this is just to add your domain and set up the basics and does not include any advanced services or management like shown in the screenshot below. I am posting the screenshot so that you can see that Kev knows what he is doing and he can help for more advanced services if needed. You need to tell him that you were sent by me and that you want the gig for basic set up and integration with wordpress and ask for a custom order. Be prepared with your domain name, wp admin login details, your google and bing logins too. If you are uncomfortable giving these details out thn I suggest perhaps offer him to do it via team viewer. This gig will give you faster indexing, it will help build some authority to your domain and it will give you insights and data that you can be making good use of to increase your website traffic and improve your rankings.